A disappointed Jack Le Brocq says Matt Chahda should “sit down and look at whether he wants to continue racing” after a collision cost Le Brocq the Dunlop Series championship lead. Matt Chahda, who started 16th, barrelled down the inside of turn one, losing control of his Falcon and getting airbourne after hitting Bryce Fullwood’s Middy’s Electrical Ford. Chahda fired up the inside of turn one at Sandown Raceway on the first lap and caused a huge five-car accident, spearing into Bryce Fullwood, Jack Le Brocq, Andrew Jones, Adam Marjoram and teammate Todd Hazelwood. Le Brocq said the incident was not ideal for anyone with Matt Chahda out of control taking out multiple cars in the race. “He’s probably going to have to have a sit down and look at whether he wants to continue racing because he’s doing silly stuff all the time,” Le Brocq told Supercars.com. Brad Jones Racing’s Andrew Jones emphasised the incident smelt bad and was ugly before the end result with a five-car pileup at turn one. 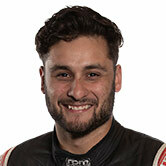 Jones as an experienced driver in the Supercars Dunlop Series, having driven in the main game previously in his career, highlighted the importance of Chahda sitting down to think objectively about his approach to racing and take ownership for his mistakes. 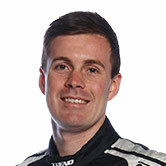 “I think he really needs to learn from this and change his approach to racing,” Jones told Supercars.com. “There is a lot of damage and thankfully no one was injured but it was stupid. It was unnecessary and I think Matt needs to sit down and do some homework. Jones and Chahda both reside in Albury, to which Jones noted he has had some diplomatic conversations with him about the positions he becomes regularly involved in on-track, and attempts to helps him out where he can. Further on the spill in Race 2 this afternoon, Jones mentioned the importance of race stewards taking a close look at the pattern emerging with chaotic racing in the Dunlop Series. “I think stewards need to take some ownership here as well,” Jones said. “If we are going to be told something in a drivers briefing it needs to be acted on. “Does letting go of the Jack Le Brocq move on Hazelwood encourage some of that, I think yes. I think two guys fighting for a race win shouldn’t be discouraged but I don’t think you can dive bomb someone with one lap to go after a safety car, take them off the road and not be penalized for that either. "If we are going to be told something in a drivers briefing it needs to be acted on and I think Matt needs to sit down and do some homework." The Prodrive front-runner emphasised his incident in this morning’s Race 1 with Hazelwood as this afternoon’s run-in has jeopardized his lead in the Dunlop Series points standing. “It’s one of those things that’s going to affect our championship. Now we have to see what happens for the rest of the year,” Le Brocq said. “Unfortunately, I made a little mistake in race one there, I put us in that position today so it’s one of those things it’s about risk management and we’re here to race. 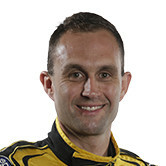 Le Brocq confidently confirmed he is not out of a chance to re-gain the championship lead from teammate Garry Jacobson. “Anything can happen; we’ve just got to keep doing the best job we can,” Le Brocq said. Despite being disheartened about today’s incidents, Le Brocq is confident the guys can assess his Go Getta Ford Falcon FG X and ensure its okay to get back on-track tomorrow at the Wilson Security Sandown 500 for some good racing.